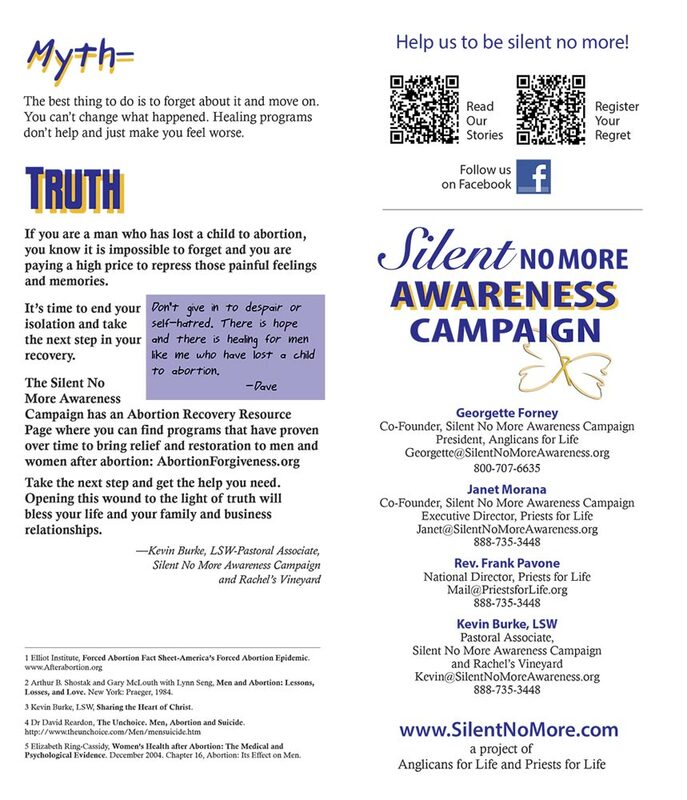 Description: This is an excellent resource written by Kevin Burke, Pastoral Associate for the Silent No More Awareness Campaign. Abortion can be perceived as a purely female issue. But abortion can negatively impact the men who participate in the abortion and later regret their lost fatherhood. 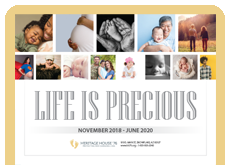 The brochure breaks down common misconceptions and discusses how abortion can damage men emotionally and spiritually. 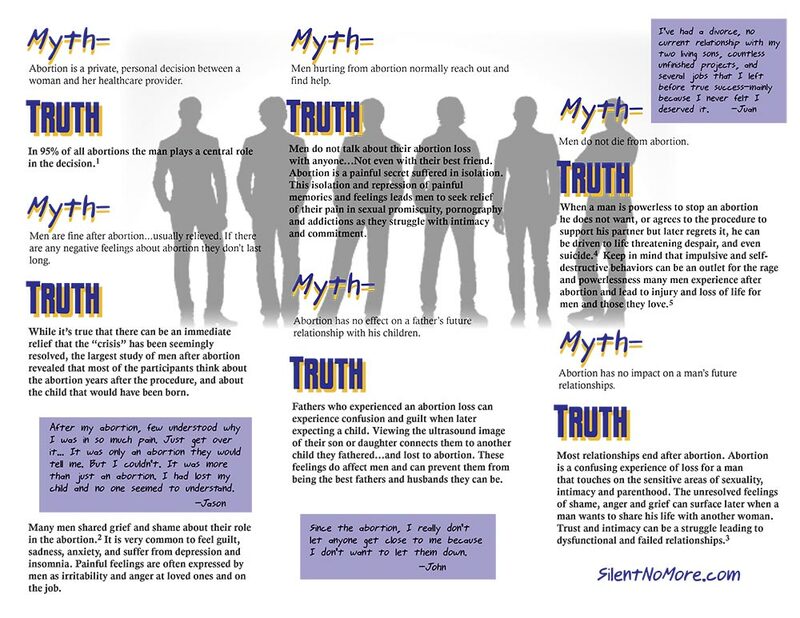 Myths, Men, and Abortion has been a great addition to our literature geared toward men's post-abortive recovery and healing. LifeWorks, Ohio has been teaching students in Grade 6, 7, & 8 about Respect For Life for years. We felt there was a 'gap' in our curriculum when discussing the man' part in this issue. Myths, Men, & Abortion fills this gap. Schools welcome this brochure and find it very helpful. The contact info on the back of the pamphlet is a plus!